Since mom and dad have the trailer, I figure this is really their blog for the next few days (until they arrive in Delaware). Here’s my mom’s note about their travels today, and her note about yesterday below that….. Ate supper at Perkin’s, picked up a motel coupon booklet in the lobby, found this Best Western here in Lincoln, Nebraska (capitol) and decided to not go on to Omaha but to enjoy this luxury. 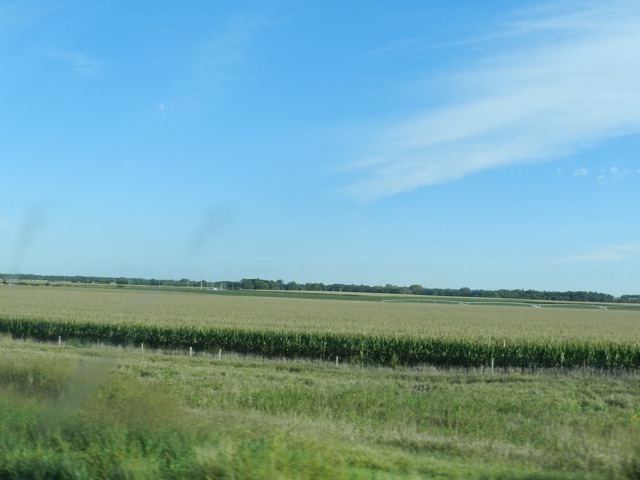 Dad says: Corn, corn and more corn but not nearly as high as an elephant’s eye. We drove less miles today – wasted some time and miles at each pit/gas/meal stop. But all is fine. Trailer is behaving perfectly at 74 mph. The speed limit is still 75 in Nebraska, as it was in Wyoming & Idaho. We’re in Laramie, Wyoming at a Motel 6 (since we’re eating breakfast after we drive some in the mornings) – drove another 600+ miles today – weather still lovely. 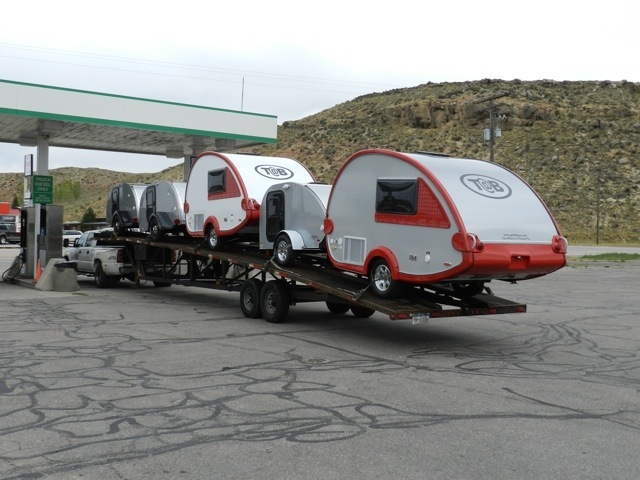 Dan, this truck was in Evanston, Wyoming at our gas stop – delivering the load to Eugene, Oregon – picked them up ? (in the midwest). The driver wouldn’t trade us straight across for a new one, darn. All going well – we’re fine. Traffic was heavy only around Ogden/Salt Lake City – everyone pulling a trailer or boat.